For previous policy booklet versions, please visit our policy booklet archive. If you'd like to review your Insurance Product Information Documents, they can be found here. 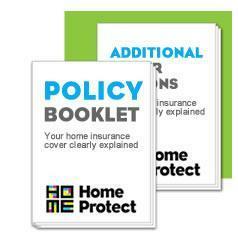 This booklet covers our additional cover options – legal expenses, home emergency and key protection cover (if you have selected any or all of these products). This document provides details of who regulates HomeProtect and how to complain or cancel your policy. If you choose to pay by Direct Debit please read the following document which helps explain how your Direct Debit agreement works.